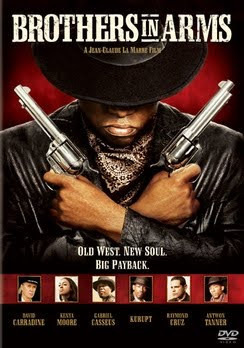 Brothers In Arms is a decent "urban" western. The plot is about two brothers and his gang of thieves who plan to rob a bank. 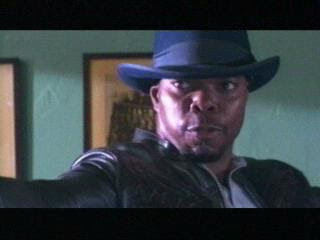 The only things that stand in their way are: The Kurupt town governor Driscoll (Carradine) and his bounty hunters. The movie is fast-paced but the bank robbery scene\aftermath is almost half the movie and because of that there is some repetition in the dialogue. The performances are okay. The standouts are Raymond Cruz as the Reverend and David Carradine as Driscoll. Ed Lauter and Kurupt stand around for most of the film. The gunfights could also use some improvement. When the ending comes it stops being an action movie and starts being a drama, which works actually. In the end: Besides some minor problems, Brothers In Arms is still worth watching.